Following the Mini 2133 and the Mini 701, HP's most recent netbook release has been available for some time now, featuring an updated Intel Atom CPU and a 10.1" LED display in order to fulfill current standards. One hardly finds any innovations compared to the present models, apart from the chassis' design. The reflecting display, designed in an edge-to-edge way, remains and does not let the HP Mini 2140 appear to be "business-like" at all. 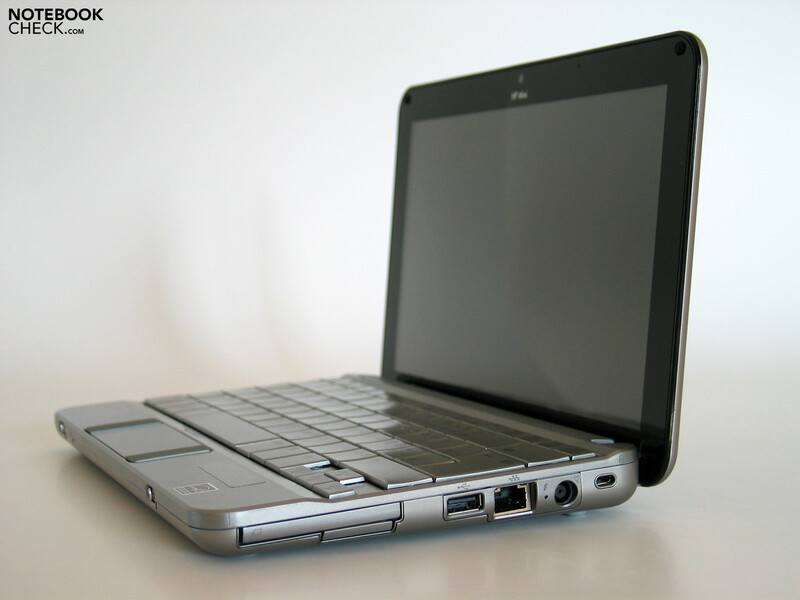 The netbook follows its predecessors (Mini 2133 and Compaq Mini 701) in terms of optical aspects, but some changes from the Compaq Mini 701 can be recognized as far as the case's form, especially the tray and the included interfaces, are concerned. 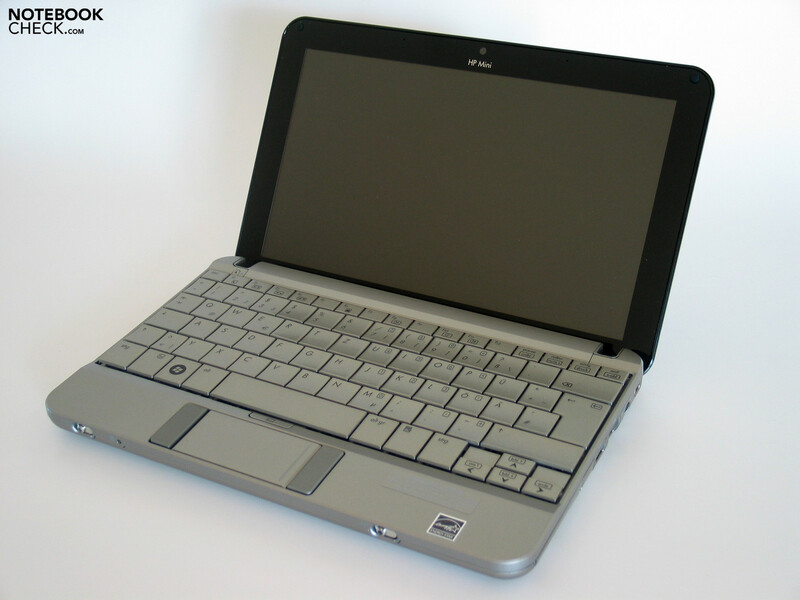 The manufacturer fully returned to using the first netbook's (Mini 2133 with 9" display) chassis, apart from the vent's design at the left side's edge. 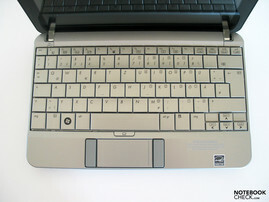 This also applies to the composition of colors, since the HP Mini 2140 is once again designed completely silvery; moreover, it not only seems to be colored metal-like, for the tray and the display's lid parts made of aluminium are indeed employed, which accordingly enhance the Mini notebook's material impression. The excellent feel is accompanied by a sturdiness just as convincing. The display remains unyielding to punctual pressure applied to the lid, and torsions are only possible to a minimal extent as well. The same applies to the base unit, which allows for grabbing it anywhere without yielding, let alone possible deformation. The device's working, in contrast, could not fully convince us. Overall, the Mini 2140 made a good impression, but at a closer look, irregular clearances were noticeable, especially at the transitions between the aluminium tray of the case and its cover at the upper side of the base unit. When applying pressure, the clearances' width is even somewhat changeable. The edge-to-edge design of the display, which has seemingly come into vogue (also employed by Apple for the new Macbook models), brings a decisive disadvantage, apart from the disputatious reflecting display's surface: it is sensitive to pollution. After each touch of the display, which is inevitable when opening the display or adjusting the opening angle, some unpleasant prints remain on the display's surface. If one does not constantly clean it, an unsavory, complete frame around the display builds up over time. 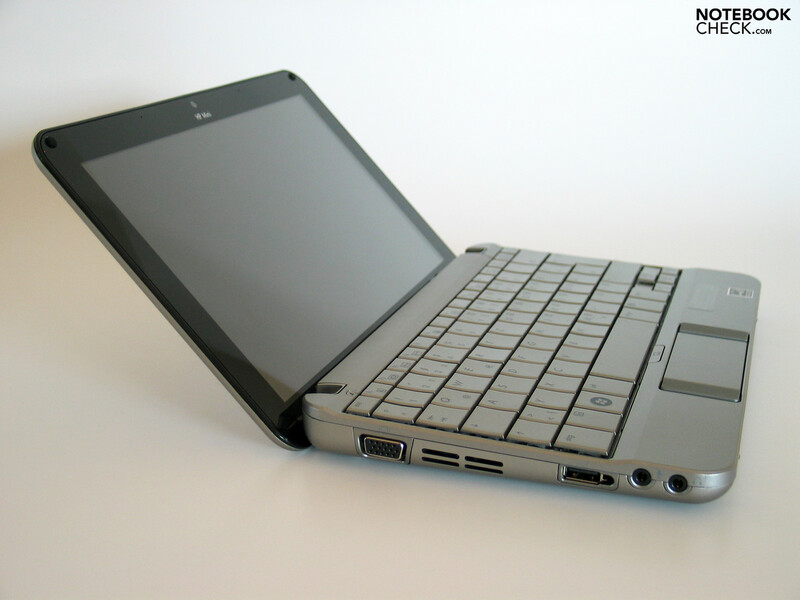 As it is typical for netbooks, the interfaces offered are rather few. For instance, two USB 2.0 ports are offered (whereas one port includes a special separate power supply), one VGA outpout for connecting an external display, a LAN socket, and 3.5mm sockets for connecting headphones respectively a microphone. 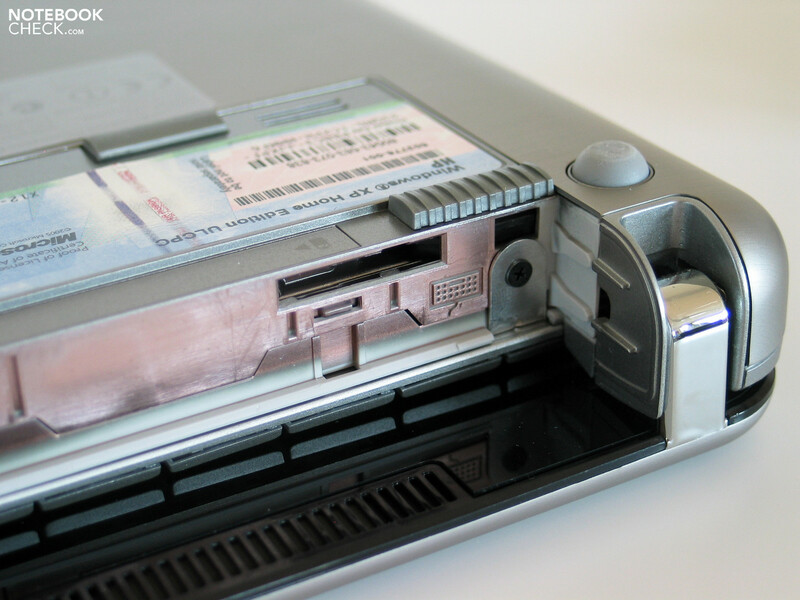 While an SD card reader is found in many other mini-notebooks (at times even used for expanding the included mass storage space), the HP Mini 2140 also comes with a 54mm Expresscard slot with the help of which the device can be upgraded with a range of features based on using the Expresscard. The single ports' location can, in out opinion, by all means be called felicitous; those ports rather used frequently (VGA, LAN, power supply) were placed on the rear side, usually saving the sides from bothersome cables. 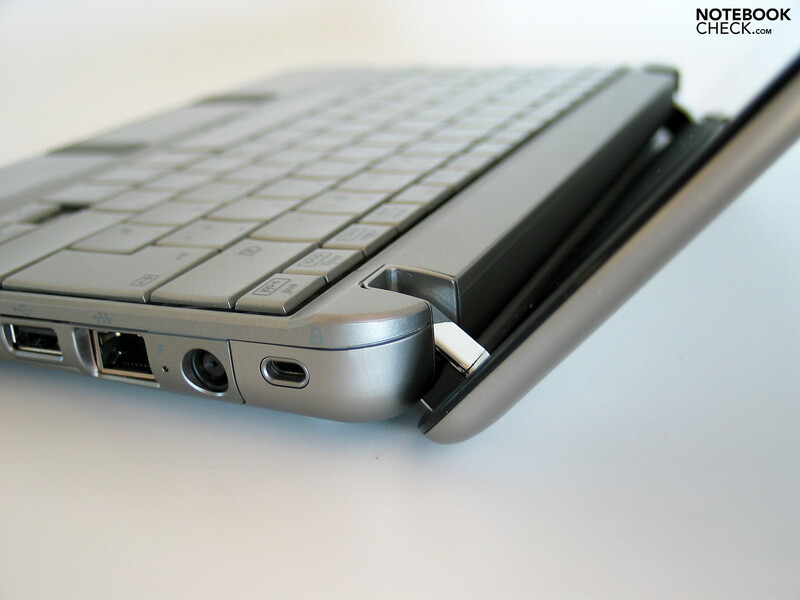 A port for a docking station would definitely have been nice for a netbook aiming to the business segment, but the HP Mini 2140 can unfortunately not offer that. 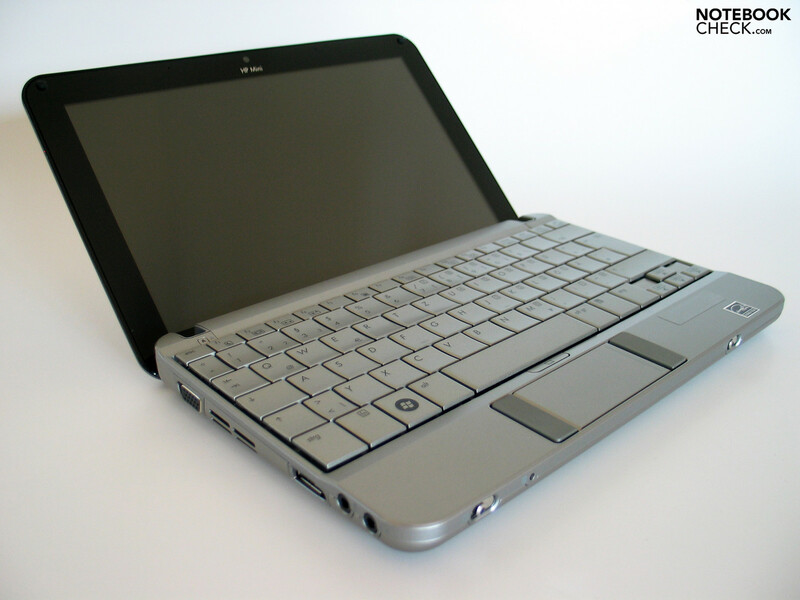 This of course gives a special significance to the VGA port, since it is the only possibility to extend the internal mini-display by offering a larger desktop in order to use the netbook in a stationary usage efficiently. It was able to suprise us in a positive manner while tested: it offered an excellent, sharp picture at a maximal resolution of 1920x1200 with good colors, connected to a 24" Dell 2408wfp monitor. Continuously working should therefore not be a problem. The integrated Marvell Yukon Gigabit Ethernet Controller makes an optimal connection to your wired home or office network possible. The HP Mini 2140 does not leave anything to be desired in terms of a wireless connection, thanks to the included Broadcom 802.11 a/g/n Wireless LAN module. Bluetooth 2.0 (availability subject to configuration) can be counted as an upscale communication feature, interesting especially for wireless data transfer to and from external devices, such as cell phones and PDAs. Up to this day, wireless broadband internet (UMTS/HSDPA) unfortunately is not available in any configuration of the HP Mini 2140. However, a suspicious opening in the battery's bay may indicate a possible future UMTS-version. Until then, the user can only take a detour via an external UMTS modem, which maybe connected to the notebook either through a USB port or through the integrated ExpressCard slot. 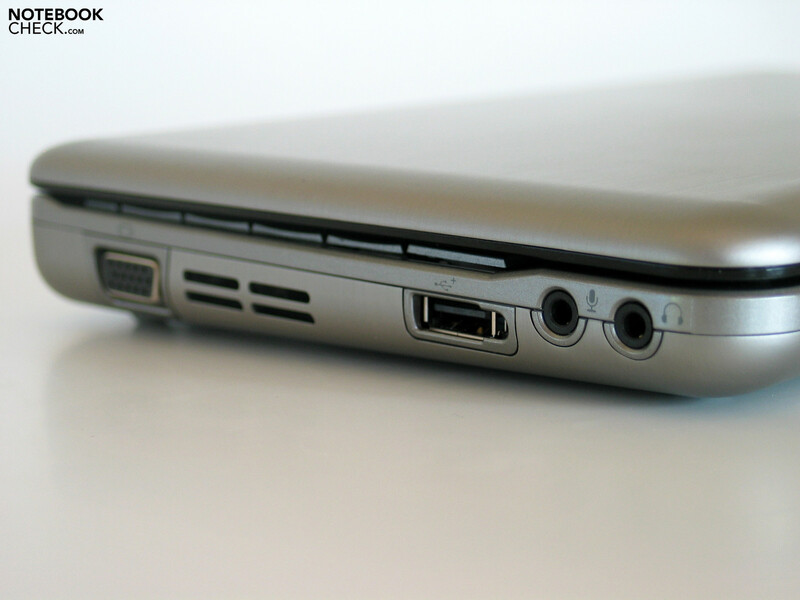 Waiving an optical drive is no suprise, CDs or DVDs can only be read through an external device, as usal for netbooks. These are usually connected to a standard USB port, so one can freely choose such a drive from any manufacturer. 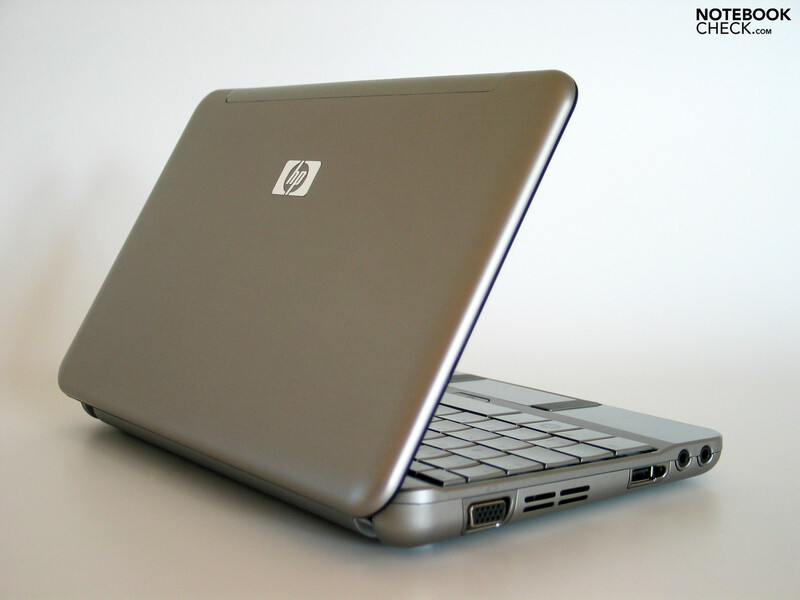 As far as the operating system is concerned, one is spoilt for choice, since HP equips the 2140 with a whole range of systems: the netbook is for instance available with Windows XP Home or Pro, Windows Vista Home Basic or even SuSE Linux Enterprise Desktop 10. HP offers only 12 months of warranty for the Mini 2140, but the warranty can be extended to 2 or even 3 years, if one buys a corresponding HP Care-Package, at differing prices, depending on duration and type of the service offered (Pick-up and Return, exchange, on site, and so on). The HP Mini 2140's keyboard has definitely to be seen as suited for business-usage, HP nearly fully utilizes the available vertical space to be able to offer a full-fledged keyboard (this also applies to the keys' size). 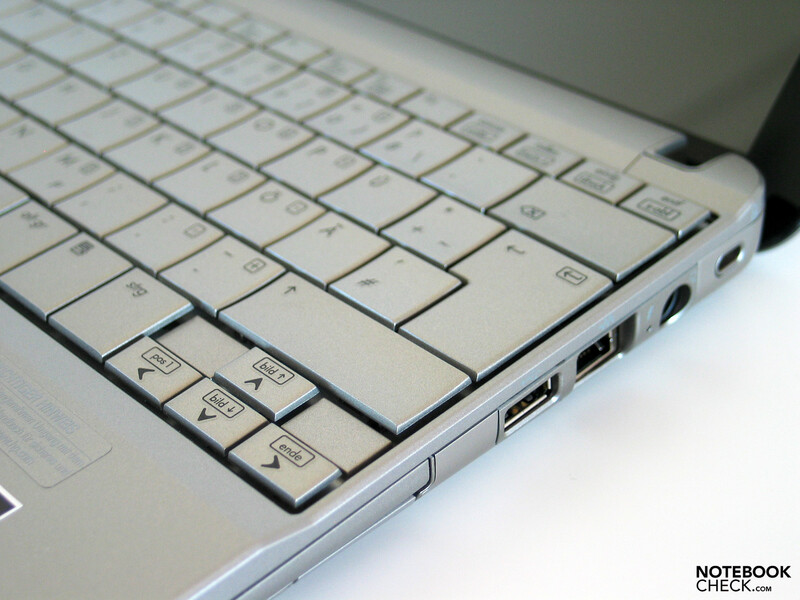 The letter keys' size of 17x18mm almost corresponds to that of an average-sized 15" notebook. The keys' arrangement does not contain any surprises either and contributes to the comfort of typing on it, as do the two-line Enter key, the enlarged Backspace, Shift, and Numlock keys. The feeling when typing with the keyboard can be described with a well regulated resistance to pressure with a rather short stroke, and a lightly springing stop. We thought these characteristics to be quite nice during our test and did not have any problems with writing longer texts (e.g., parts of this review) with the device's keyboard. Due to different subjective preferences, differing opinions are of course permissible as well. A peculiar part of the input devices is the touchpad, with has been designed very slim and drawn-out, in correspondence with the display. 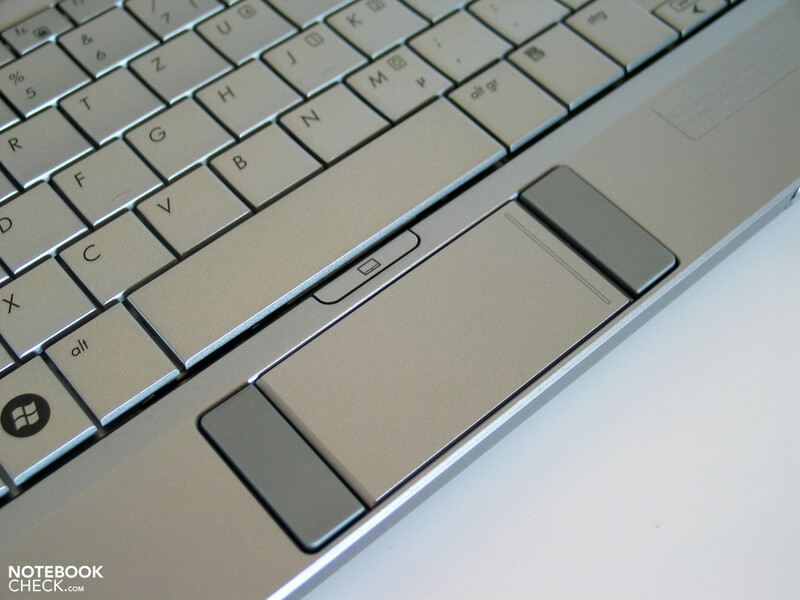 Moreover, the touchpad's two keys are not placed below it, as usual, but to the left and right of it. Therefore, the space needed for the touchpad could be kept as small as possible, leaving more space for the keyboard; this solution is also convincing in practical usage. Merely the touchpad's sensitivity made some problems on the model we tested. On the one side, its reaction to input is very fast and sensitive, but on the other side, the pointer sometimes halted without any apparent reason. A really useful feature is the touchpad's own on/off button for quickly activating and deactivating it, located above the pad. 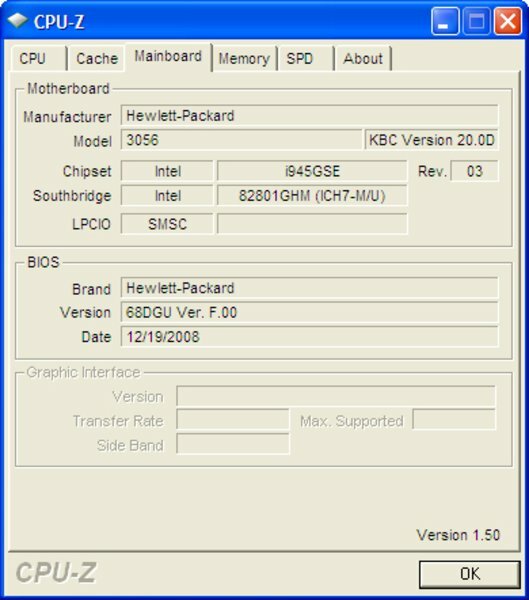 The HP Mini 2140's display is rather untypical of a netbook, its format is 16:9, better known from multimedia devices, with a resolution of 1024x576. Compared to the current standard resolution of 1024x600 for netbooks, the HP Mini 2140 lacks 24 pixel in height. This contributes to the difficult situation concerning the vertical number of pixel for netbooks, since scrolling often is necessary, especially while surfing the internet. The 10.1" "Illumi-Lite" LED display, as HP labeled it, showed good benchmarks during the review. The display convinces with a maximum brightness of 247 cd/m² in the central area; the diminishment of brightness in the outer areas goes down to acceptable 209 cd/m², resulting in a good 84.6% for illumination. Compared to various competing models, the HP Mini 2140 delivers a very strong picture with saturated colors. This is definitely also due to its reflecting glare-type surface, which gives an image subjectively rich in contrast indoors, but also quickly creates strong reflections in bright ambient light. The maximum contrast was only a mediocre 187:1 with a black value of 1.32 cd/m². Any hopes for getting a decent picture outdoors thanks to the display's good brightness were quickly shattered when we tested it in the light of the sun. No matter whether used in the shade or with direct insolation, the strong reflections unfortunately prevent working comfortably with the HP Mini 2140 outdoors. The stability of the viewing angles is also not really a strength of the featured display: one quickly gets a distorted picture when changing the vertical viewing angle from the ideal, perpendicular position; a flatter viewing angle in the horizontal range is hardly possible due to the occuring reflections. 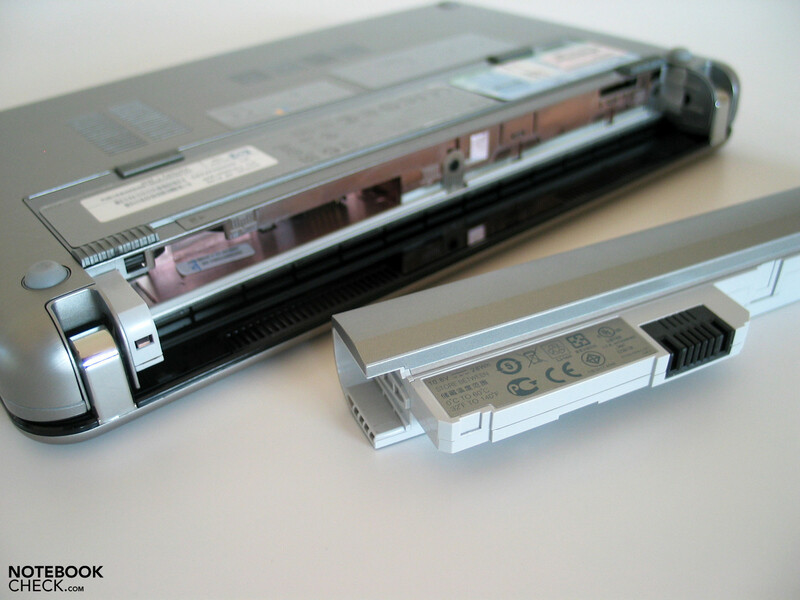 As far as its power reserves are concerned, the HP 2140 is not different from other manufacturer's netbooks. 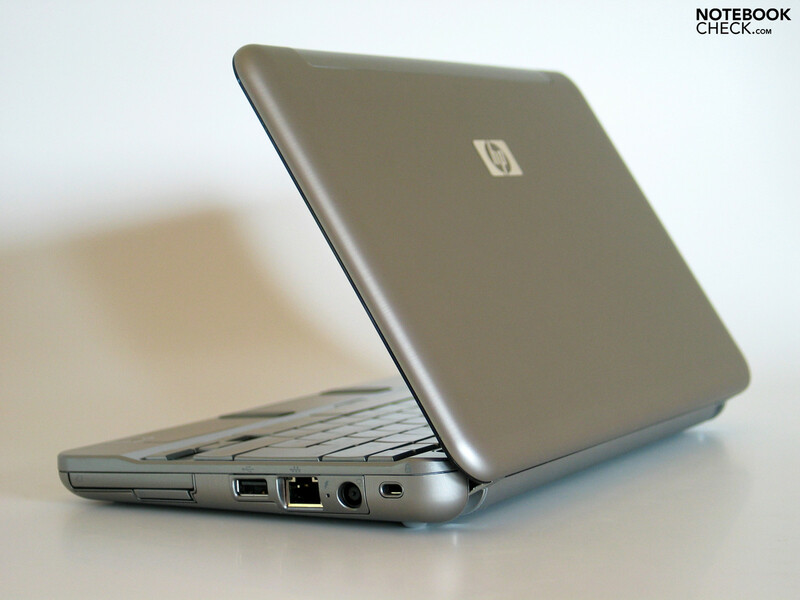 The featured Intel Atom N270 CPU (1.6 GHz) probably is the processor most used for mini notebooks; we can recall that HP used a Via-chip (C7) at 1.2 GHz for the first 9" version, the HP Mini 2133. While Intel was able to almost become the sole supplier for CPUs in netbooks, Via has been able to field a serious competitor with its new nano CPU (used for instance in Samsung's NC20). 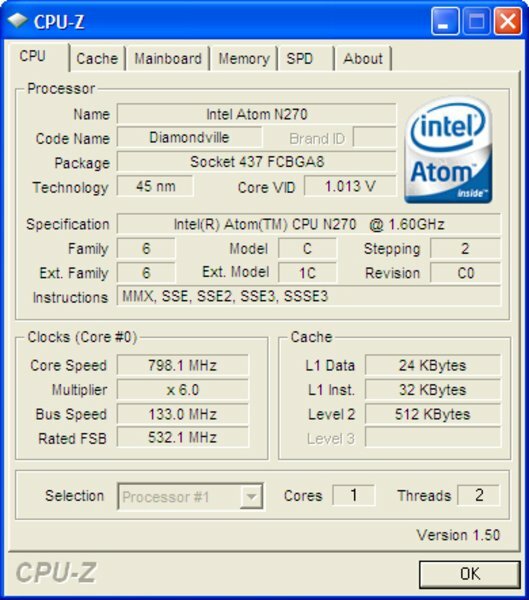 However, Intel's Atom N270 Chip is an established and widespread processor designed specifically for a netbook's set of needs. Its power reserves cover both the requirements of the operating system (Win XP, Vista, Linux) and those of basic office applications. These include text processing, simple spreadsheet calculations, but also internet surfing, mail, and contact management. The benchmark results (for 3D Mark and PC Mark) reached show as well that the HP Mini 2140 hardly surpasses its competitors in terms of performance. 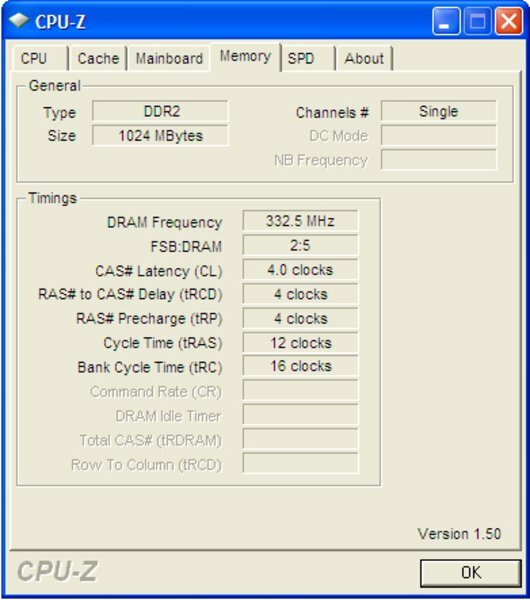 The results of PC Mark especially show that netbooks with their Atom CPUs are far away from classic sub-notebooks with special low-current Dual-Core processors or even normal chips in terms of performance. These can also carry out complex calculations in an acceptable amount of time and are thus suited for completely replacing a heavy desktop pc. 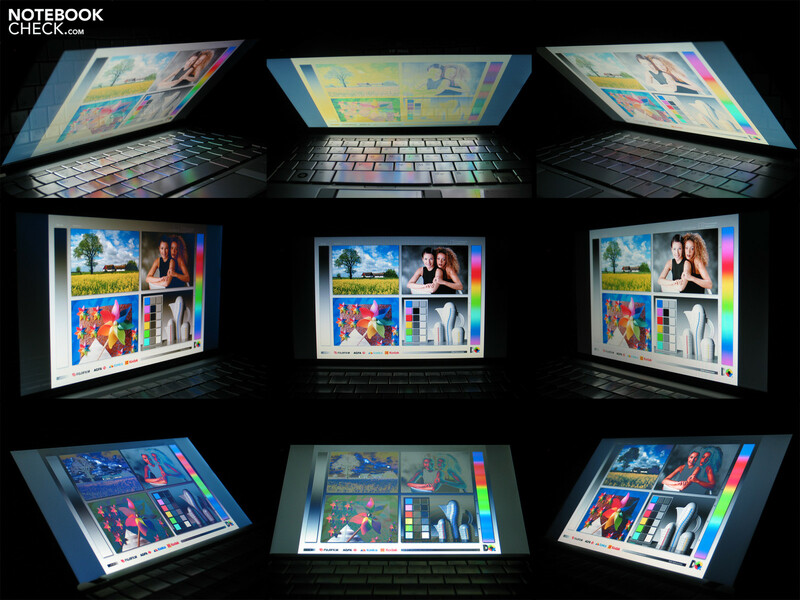 The graphics chip used in netbooks and many sub-notebooks is often also responsible for reducing its performance. 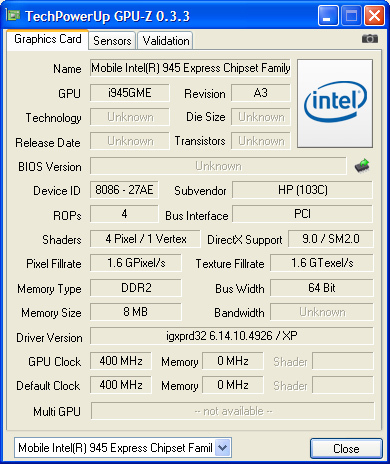 The Intel GMA 950 Chip, used in the HP Mini 2140 (as well as in a lot of other mini-netbooks), only supports basic features, such as Windows Vista's Aero interface. The integrated graphics chip quickly reaches its performance limit during more sophisticated 3D calculations. 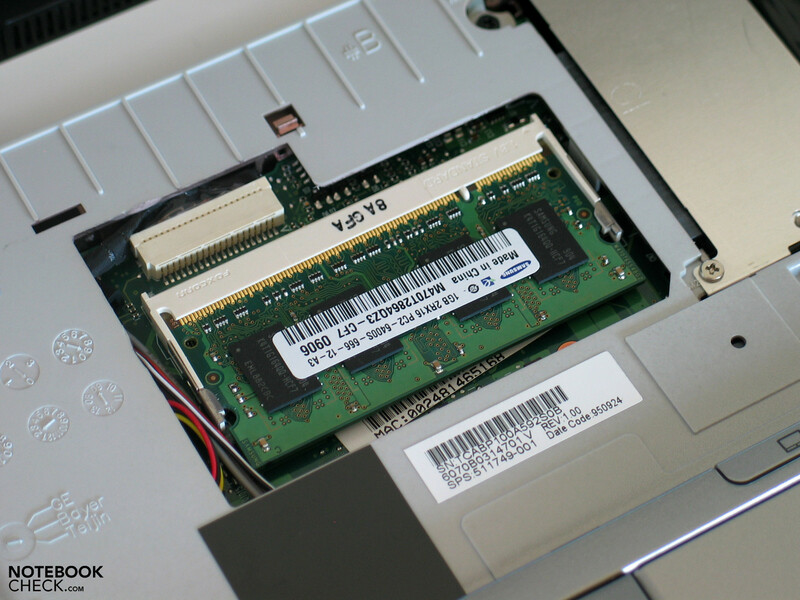 The main memory used is also important for a speedy and smooth performance of office applications; the HP Mini 2140 features 1024 MB DDR2 memory ex factory. 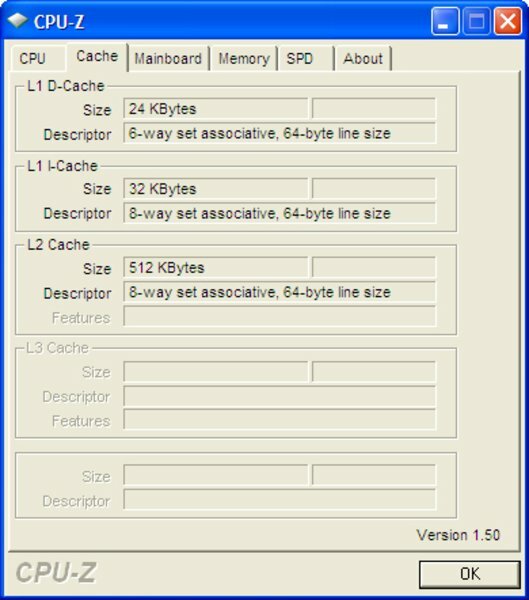 A maximum of a single 2GB module can be used for the one available slot, but the module originally installed has to be removed then. 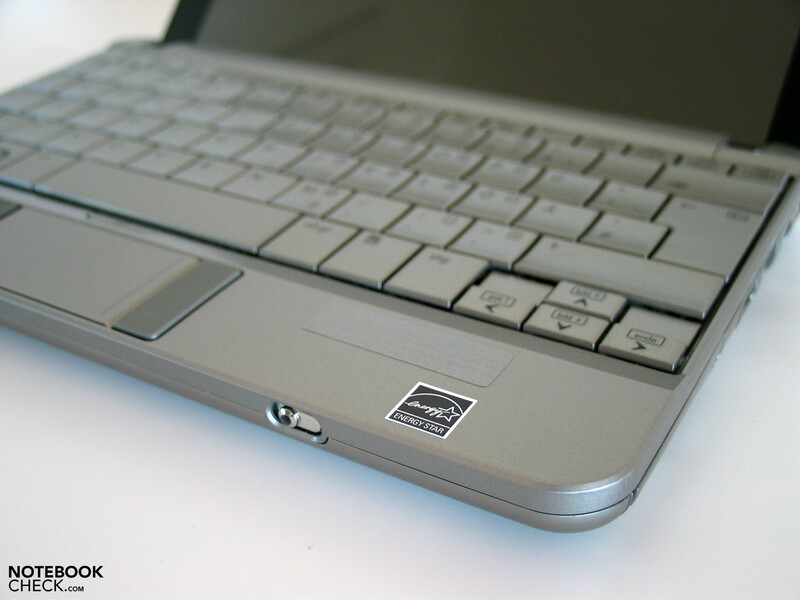 The slot is fairly easily acessible by removing the 3 screws in the battery bay holding the keyboard; the harddisk can also be exchanged that way. 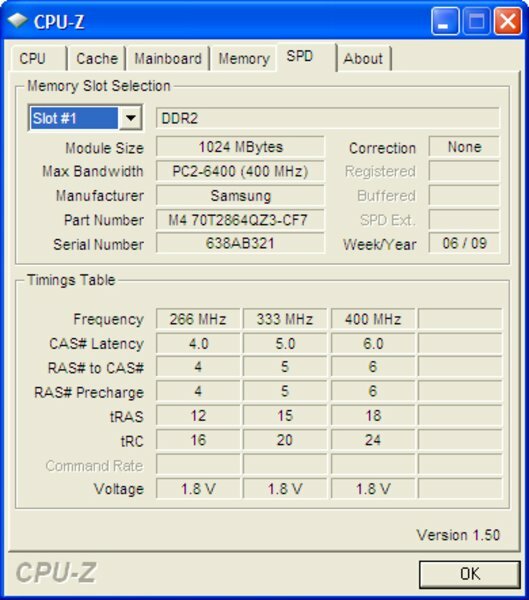 Our tested model featured a 160GB Fujitsu harddisk (MHZ2160BH – 5400 U/min), but all usual 2.5" SATA notebook harddisks (SSDs as well) can theoretically be used. 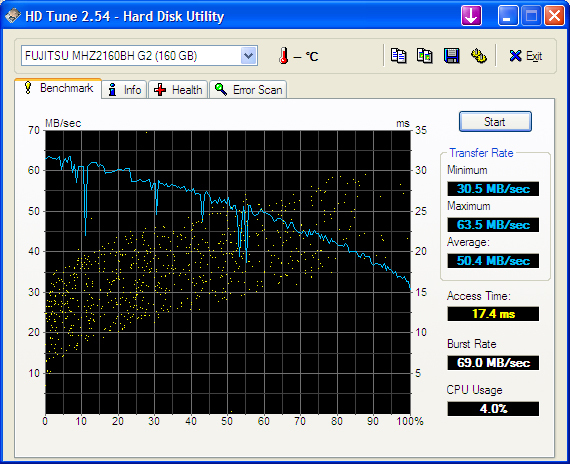 The harddisk reached a decent average transfer ratio of about 50 MB/s and a decent access time of 17.4 ms. Overall, one can say that the HP Mini 2140's vent is permanently running as a matter of principle, blowing hot air out of the aluminium case. Under a low workload, (i.e. when using office applications or surfing the internet) the vent is working at a pleasantly low level of noise; one notices the device, but the background noise is not perceived as disturbing at all. Interestingly, the notebook remains pretty quiet even under a constant workload over time, the vent became only slightly faster and louder. The maximal level of noise we could measure was 33.0 dB (A). The aluminium chassis distributes the developing heat about evenly, strong punctual heating can thus be avoided. The top side of the base unit (mainly the keyboard) heats up just a bit, to about 34.4 °C. The temperature reached at the bottom side is somewhat higher, but stays within an acceptable range, with a maximum value of 40.2 °C. (+) The maximum temperature on the upper side is 34.4 °C / 94 F, compared to the average of 33 °C / 91 F, ranging from 21.6 to 53.2 °C for the class Netbook. The two loudspeakers, located below the display, sound unsurprisingly very thin and without bass, but their sound is alright overall for a netbook. The maximum volume is also quite alright, and the socket for headphones (stereo) delivers a clear and full sound. 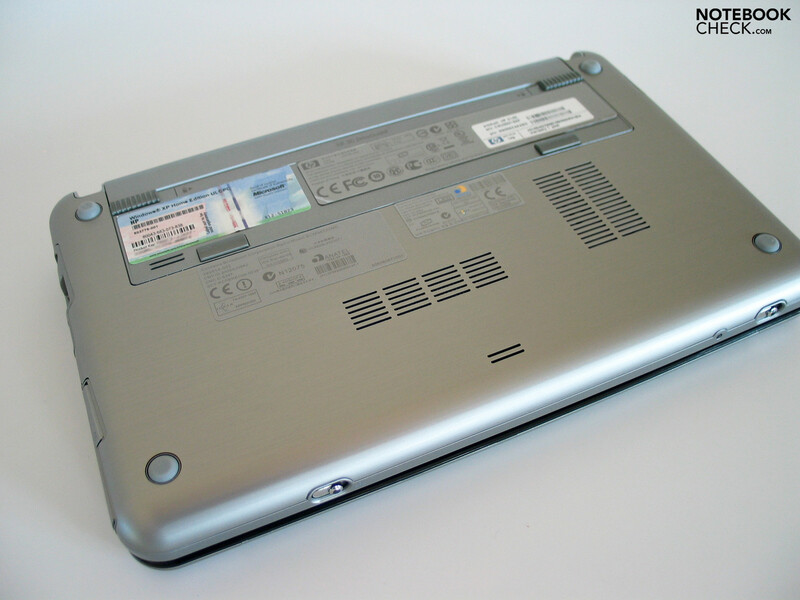 The HP Mini 2140 mostly features a 3-cell battery in the standard edition, which is inserted into its bay at the rear side of the netbook; it does not overlap the case. Our tested model was equipped that way, thus the battery life mentioned here applies to the 3-cell version. Alternatively, a 6-cell battery is available, but it overlaps the bottom side and places the notebook in a slanting position. 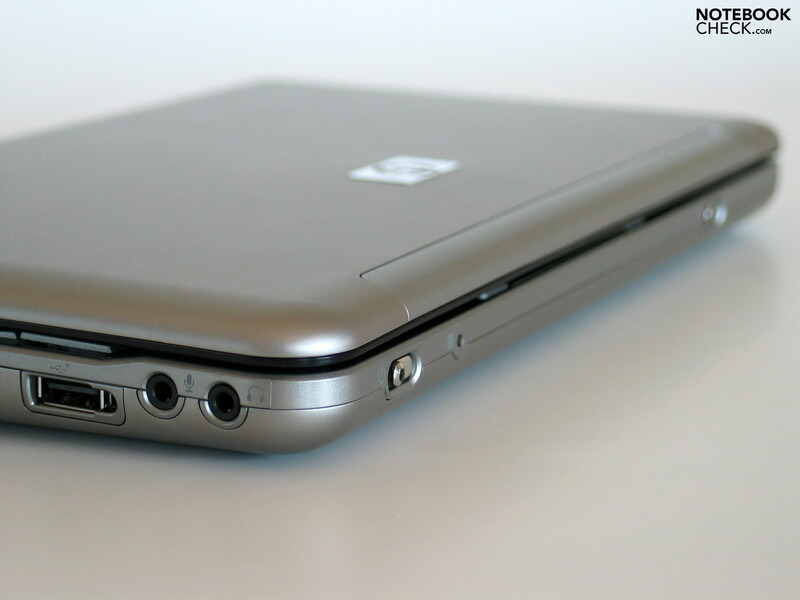 To see what this looks like, take a look at our test of the predecessor, the HP Mini 2133. The 6-cell battery has a capacity of 55 Wh. and can store twice the amount of energy of the smaller 3-cell version, which likely means a duplication of the battery life. Our model, featuring the standard battery (28 Wh), reached a good value of 257 minutes during the BatteryEaters Reader's test (representing the maximum battery life) at the highest possible power saving options (min. brightness, energy saving profile, WLAN and BT switched off). The BatteryEater Classic test can be seen as a worst-case scenario, testing the battery life under heavy workload at maximum performance and brightness of the display, with WLAN and BT switched on. About 108 minutes are realistic here. When using WLAN in a practical way (with maximal display brightness, Windows' energy saving profile, and activated WLAN), the HP Mini 2140 reached at least a sound 196 minutes. If this should not be enough, one can about double the battery life through buying the 6-call battery for about 100 Euros. HP actually did everything right with the current Mini 2140. 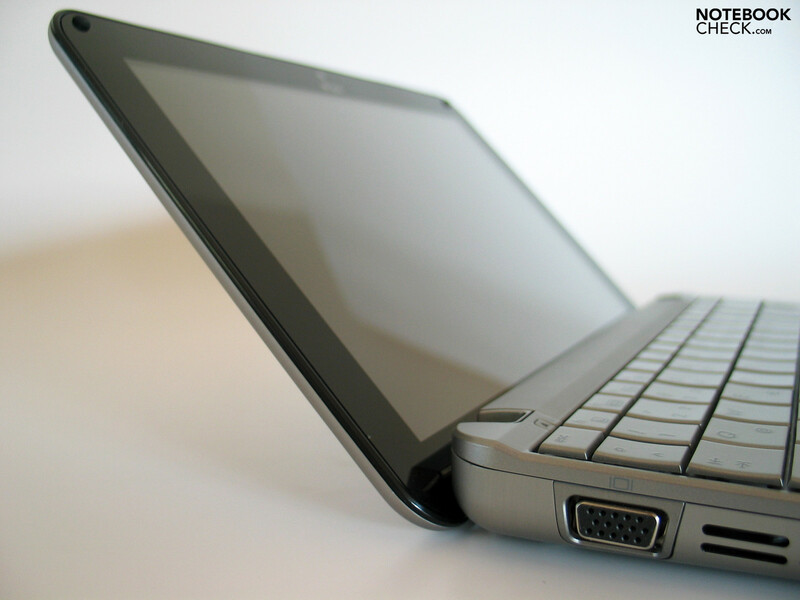 The netbook was equipped with a massive aluminium chassis, which helps the device reaching an excellent stability, and also provides a great feel. Together with the felicituous design (aside from minor flaws in the built), one can hardly say anything against the case. 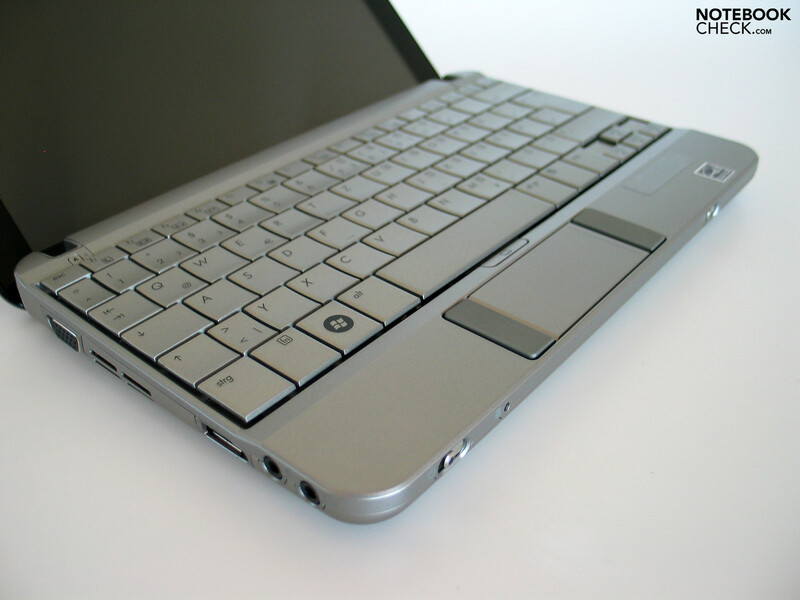 The keyboard is especially important for a netbook aiming to be placed in the business segment, and the HP Mini 2140's turns out to be really large, which is an advantage over a lot of competing mini-notebooks. The touchpad definitely needs getting used to, but it is an intelligent solution anyway. We are then, once more, at the display, featuring a reflecting surface. 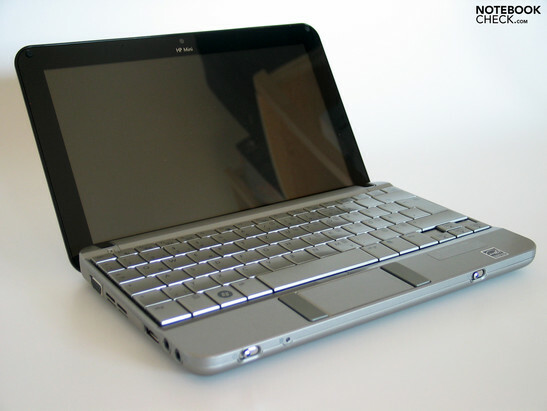 Please correct me if I should be wrong: a netbook is, first and foremost, designed for mobile usage. This means that one will be confronted with disadvantageous situations in terms of ambient light quite often, e.g. on the train or other means of public transportation, or maybe just sitting on a bench in the park. It should be clear that a glare display comes off far less well than an equally bright display with a matt surface, due to the ocurring reflections. As far as performance is concerned, the HP Mini 2140 does not really surpass its various competitors, since they all feature the same core components anyway. One should thus not expect too much from these mobile companions, but they are of course sufficient for basic office applications. The HP Mini 2140 can also score with its low noise emissions during the use of office applications. The optionally available 6-cell battery is interesting for mobile use, investing in this might possibly pay off (since a duplication of batterylife can be expected), should the battery life of about 3 hours under a low workload not be enough. 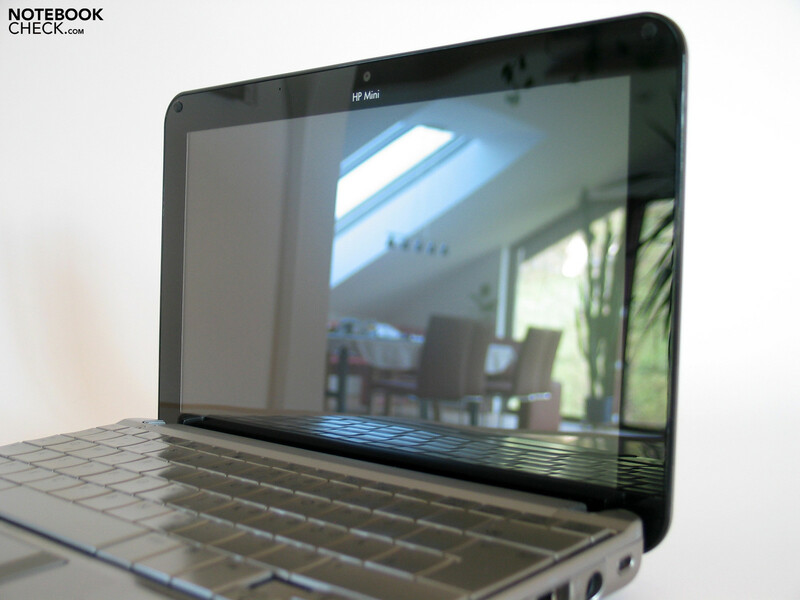 All in all, HP offers a felicitious netbook, which not only looks nice, but can also convince with its usage, should one be able to accept the glare display. 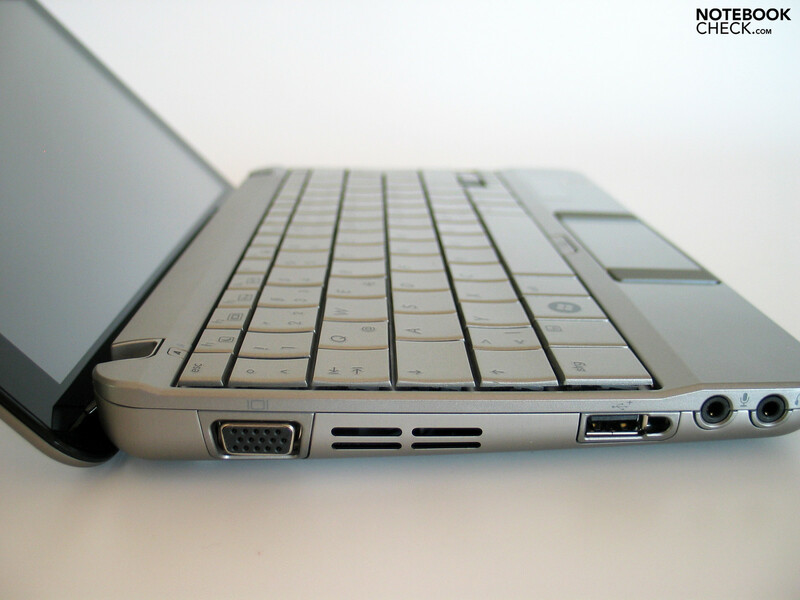 The HP Mini 2140 netbook returns to the looks of the 9" Mini 2133. 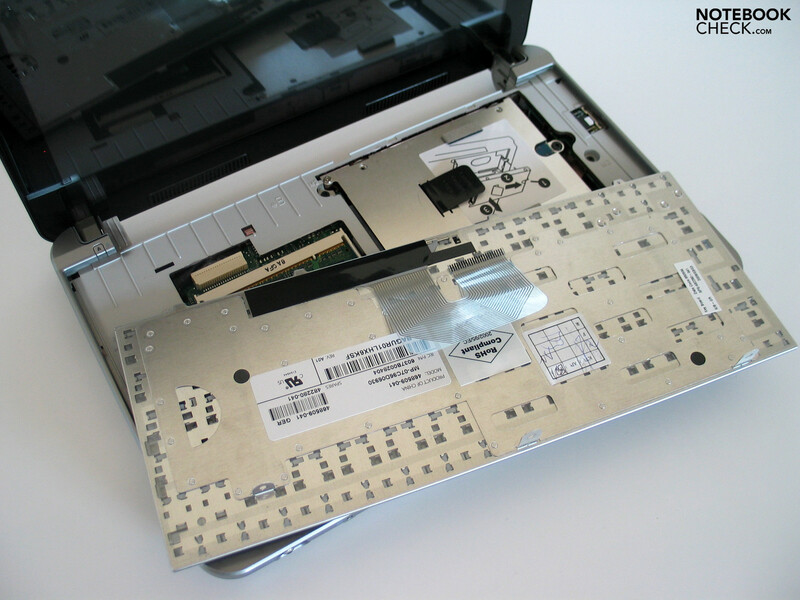 The heating of the aluminium case does not limit the netbook's operation in any way. While the HP Mini 2140's system vent is constantly running, it is not too noisy. ... as well as the included 1 GB memory module. 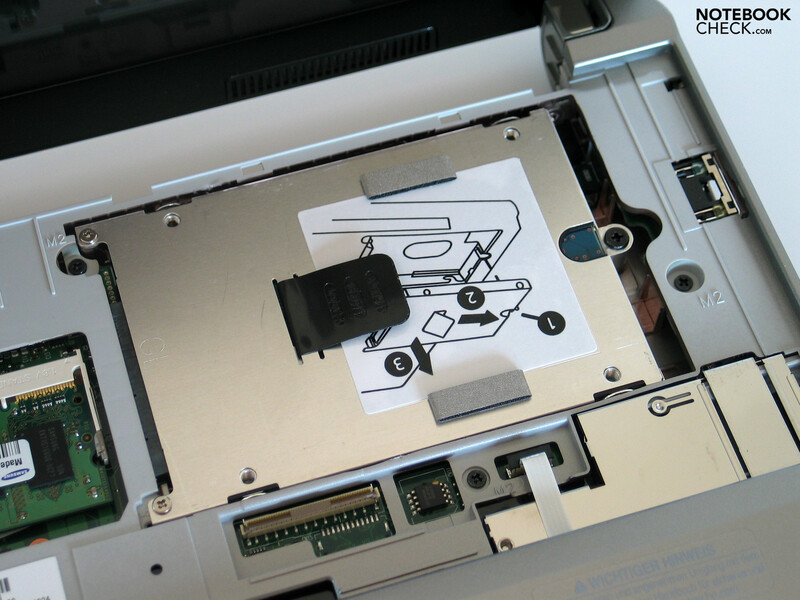 One gains access to the used components by removing the keyboard. 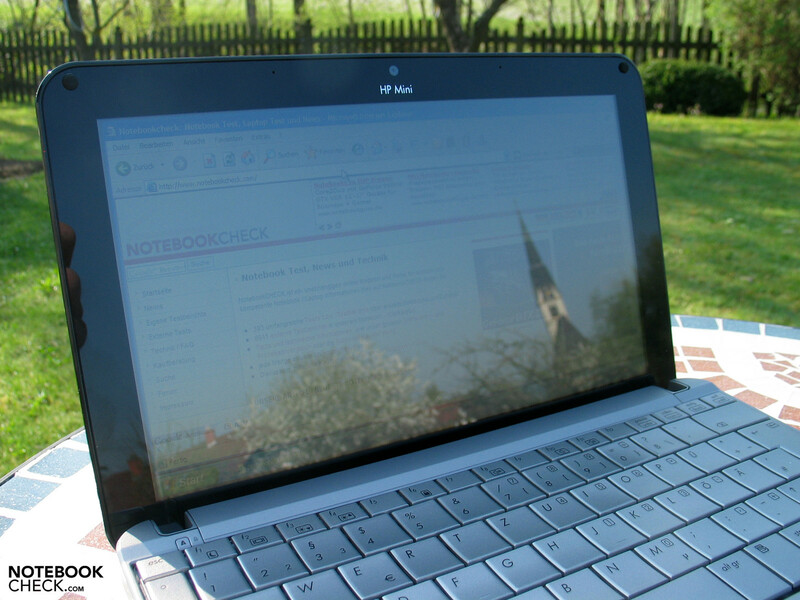 This unfortunately means that the netbook is not really suited for outdoor-use, since strong reflections have to be counted on. The display features a reflecting surface, designed edge-to-edge. 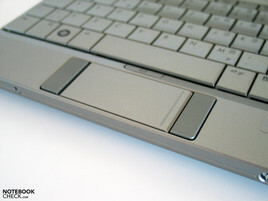 The touchpad needs getting used to, since its keys have been placed to the sides. 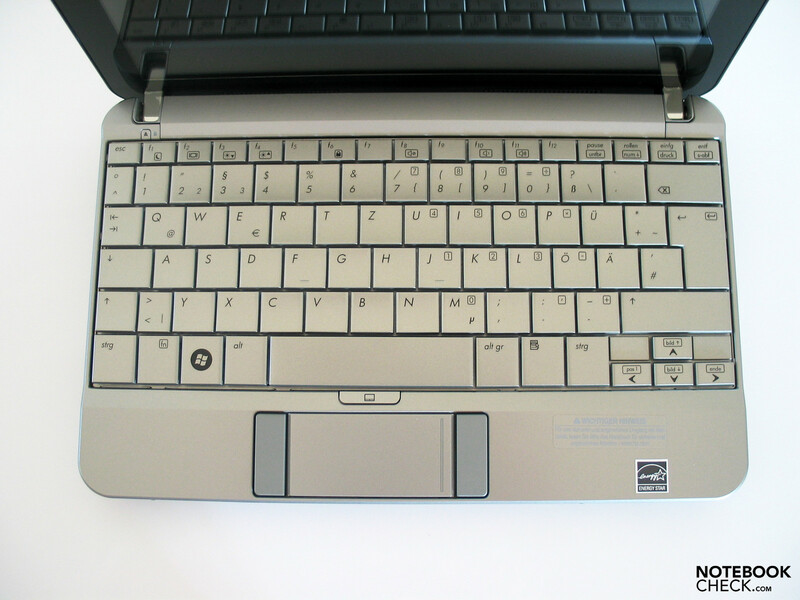 The generous space used for the keyboard is mainly responsible for the comfortable typing, and the keyboard is suited for extensive writing. Our rating of the featured keyboard is a very good one. Unfortunately, a version with an integrated UMTS modem is not yet available. 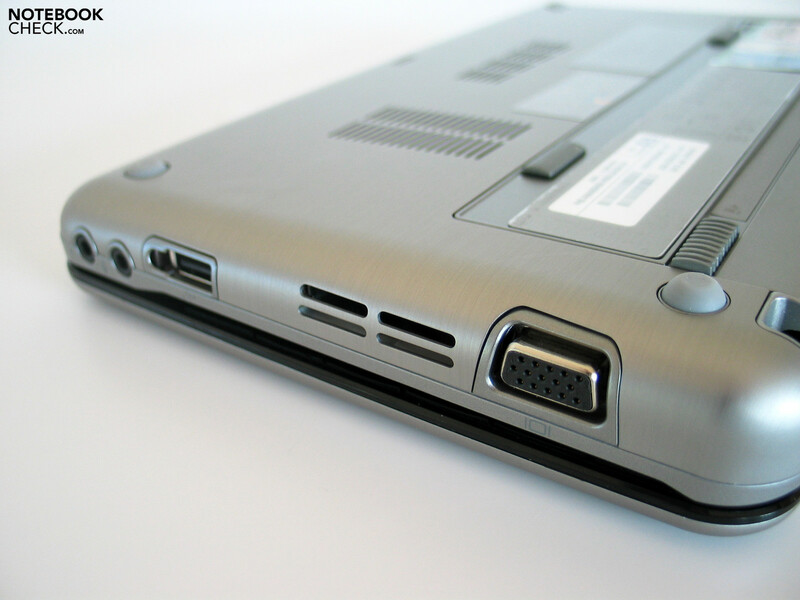 Included are for instance 2 USB-ports, VGA-out, audio ports, and, as a special feature, an ExpressCard slot. 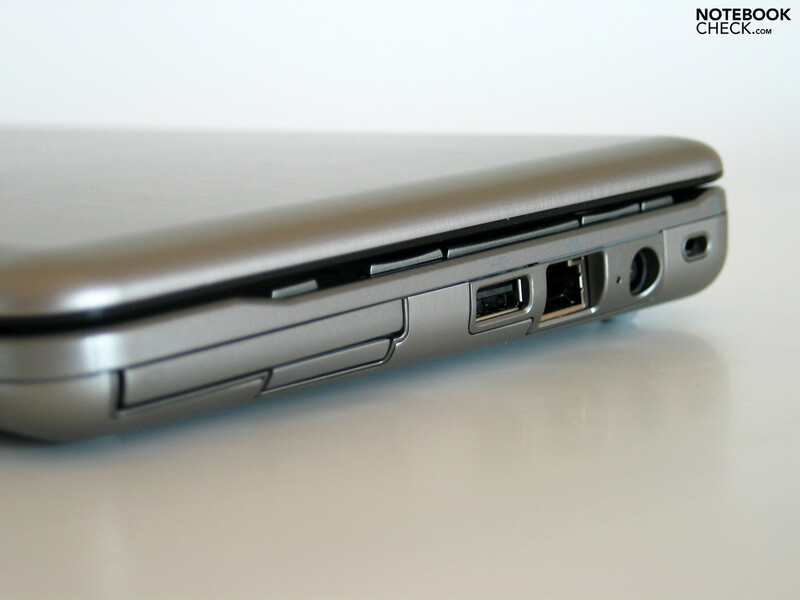 The ports offered are those typical of netbooks. The display's hinges are quite delicate, but they nevertheless do not have the slightest problem moving the compact 10.1" panel. ... but also, on the other hand, grant superb stability. 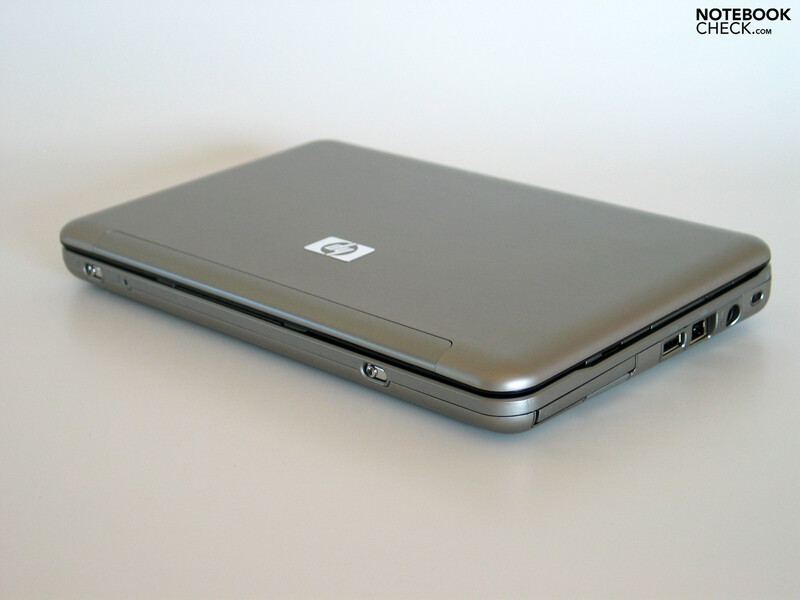 The HP Mini 2140 reaches a good battery life of about 3 hours, even with the smaller 3-cell battery. The design. The aluminium chassis. Moreover: The display's edge-to-edge design, as long as it is switched off. 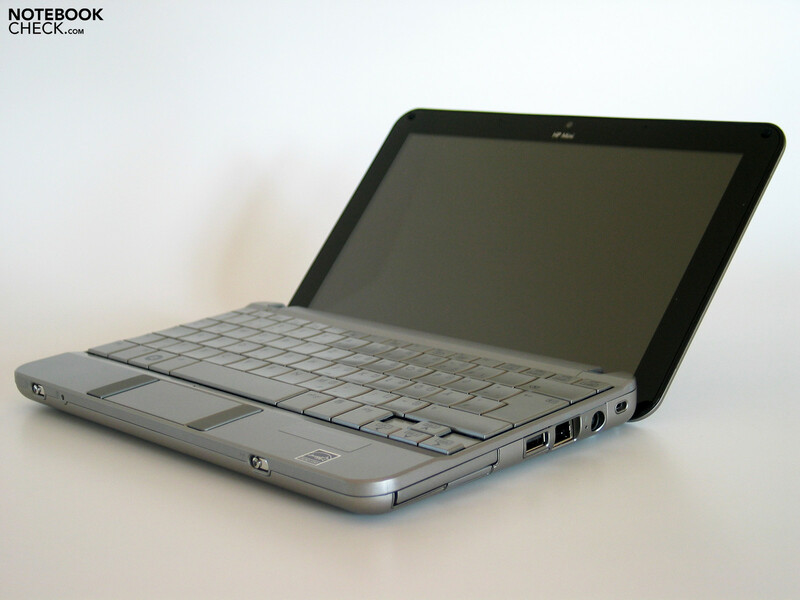 An integrated UMTS module and an option for a matt display, if the HP Mini 2140 is indeed considered to be a netbook for the business segment. The target group using their netbooks indoors with shaded ambient light exclusively is obviously big enough for manufacturers to still use reflecting displays in ultra-mobile devices. Every 10" device also putting an emphasis on a dignified outer appearance, e.g. 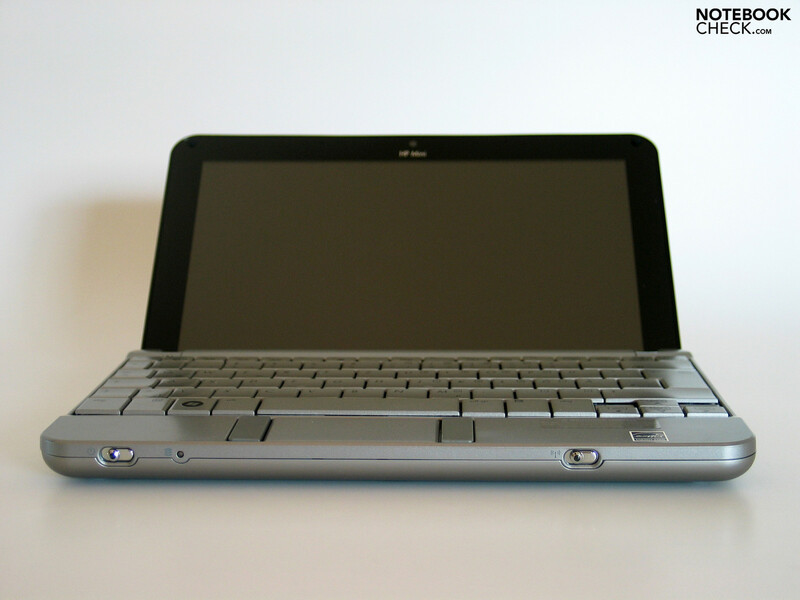 the new Asus Eee 1002HA, or the Samsung NC10. Rather not: the Acer Aspire One D150.